The second stop of my three-part trip in November 2017 was San Francisco. Here is San Francisco in three photos. 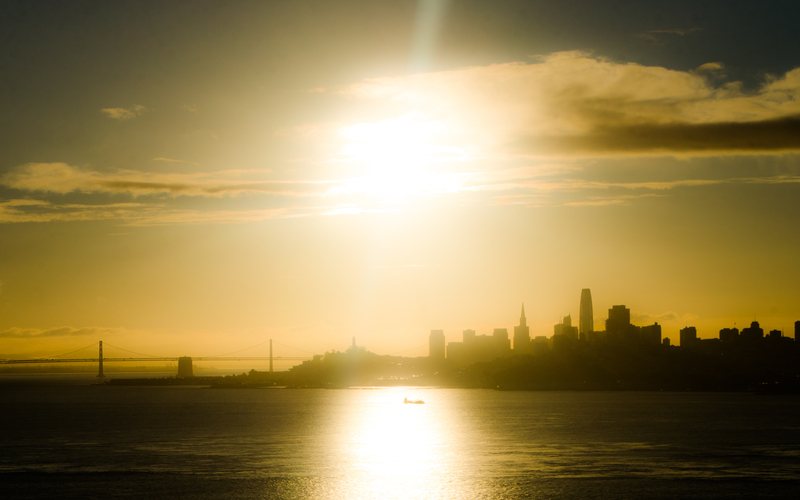 Sunrise over San Francisco, as seem from the Golden Gate Bridge. 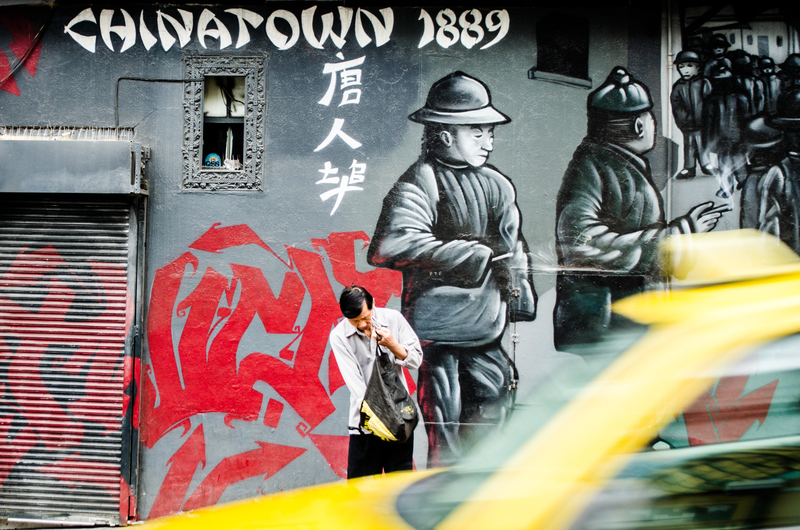 A man, a mural, and a taxi in Chinatown. 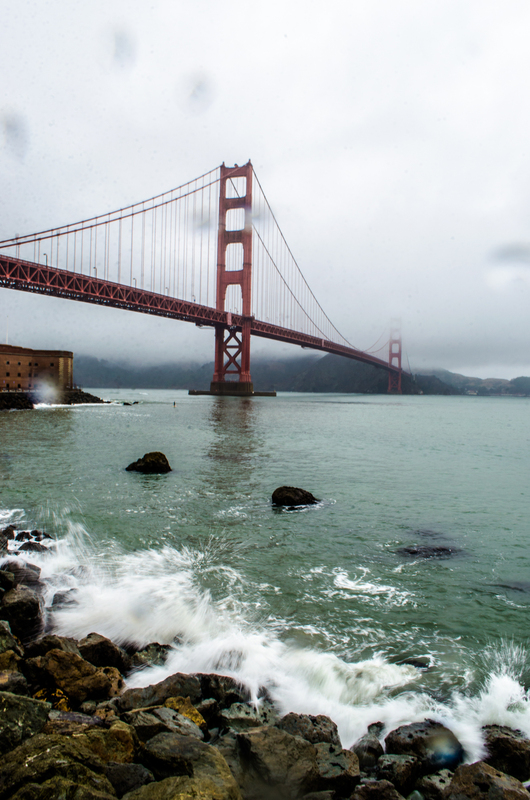 Can’t miss the iconic Golden Gate Bridge itself, even on a rainy day, near Fort Point. The first stop of my three-part trip in November 2017 was Boston. 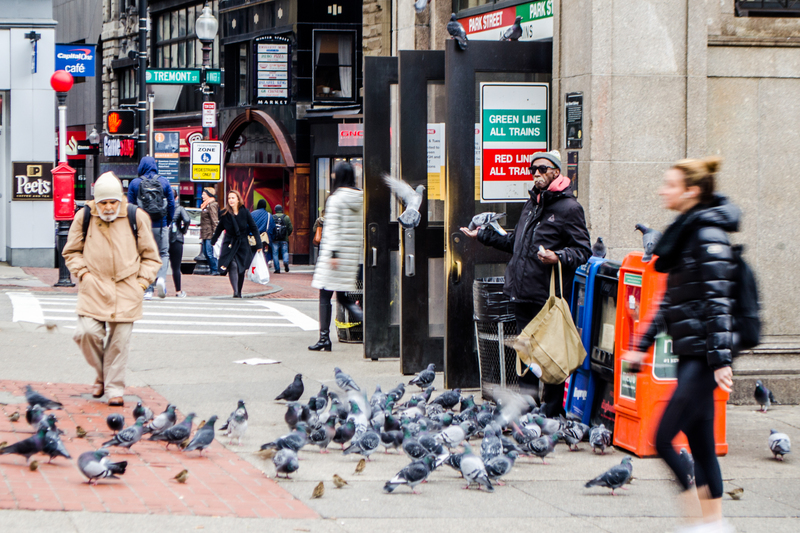 Here is Boston in three photos. 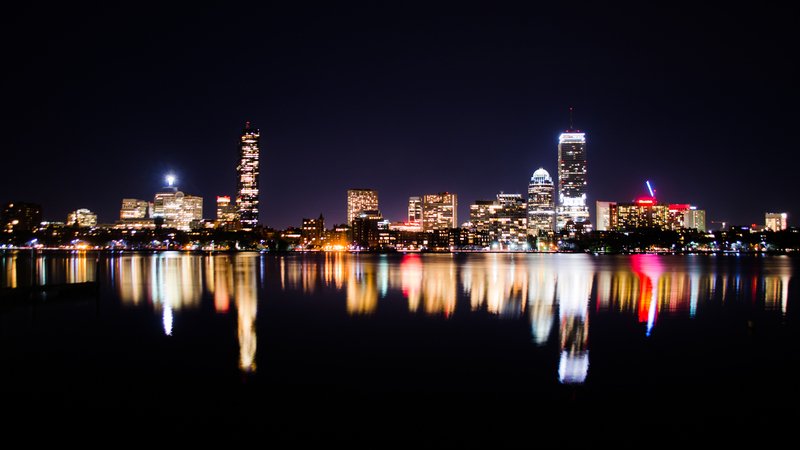 The glistening skyline of downtown Boston by night, as seen from Cambridge, on the north side of the Charles River. At the Park Street T (subway) station in downtown Boston, a man was making friends with (i.e. feeding) the pigeon. 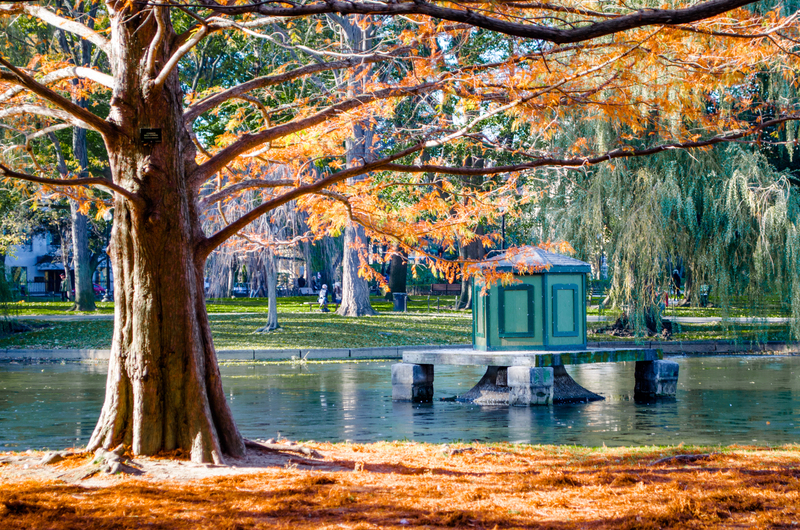 Not too late to catch a final glimpse of fall colours at Boston Common.